The architect's father was kings Henry III and Henry IV's chancellor (minister of justice). For the famous comics writer, Hergé, Cheverny was used as a model to create Moulinsart. 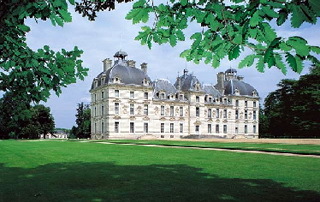 The Cheverny's castle is surrounded by large lawns creating green borders in perfect harmony with the architecture around them. The Orangery and the room of the Trophies (luxuriously arranged) can be used for all your receptions from 20 to 500 people.